Well, April 1st, 2003 we also became horse owners! 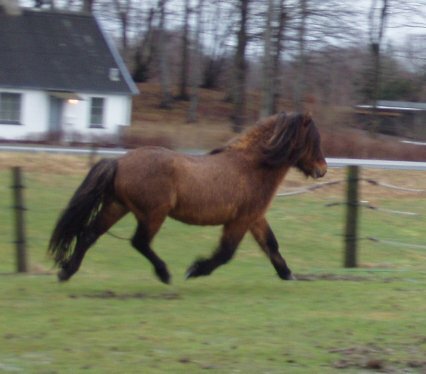 And late July 2004 we purchased one more mare! 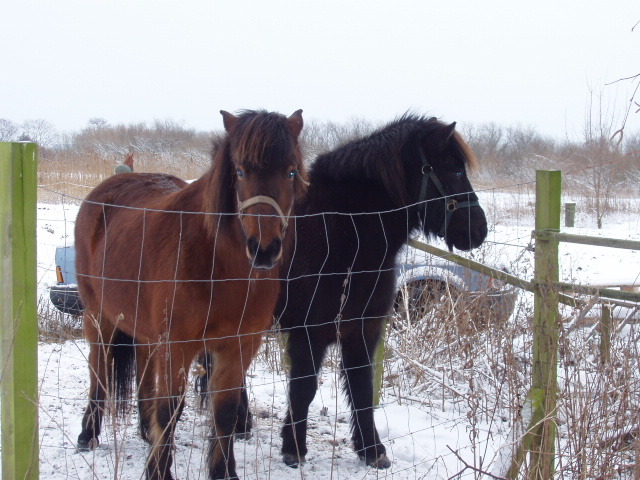 And then in 2005 suddenly there were 2 foals! Through a great friendship with Gitte & Thorleif things suddenly changed to the fact that Lokka and Gusti moved in and we've never regretted that. 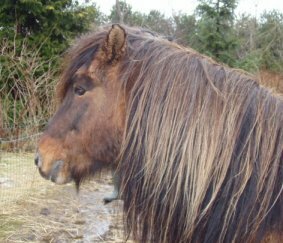 We didn't know much about horses in beforehand (translated to: nothing), but during the spring/summer/autumn of 2003 we took riding lessons, we built a stable for the horses and got to know the lovely creatyres. 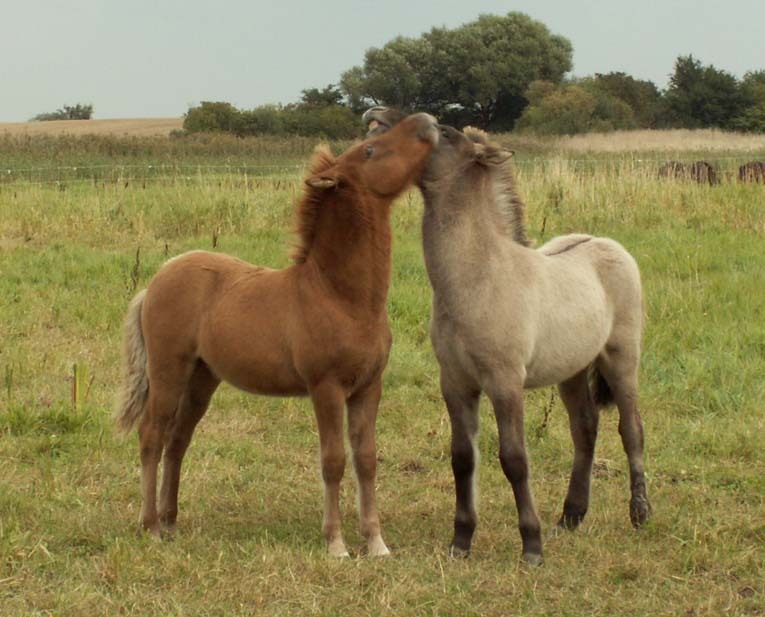 Horses sure feel good to come home to after a busy day and they are good at reducing a stress level. 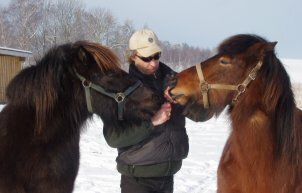 The dogs very quickly learned to enjoy the company of Lokka and Gusti, as well as respecting their size and their hooves! Everything has gone so well that we this summer purchased another mare, i.e. 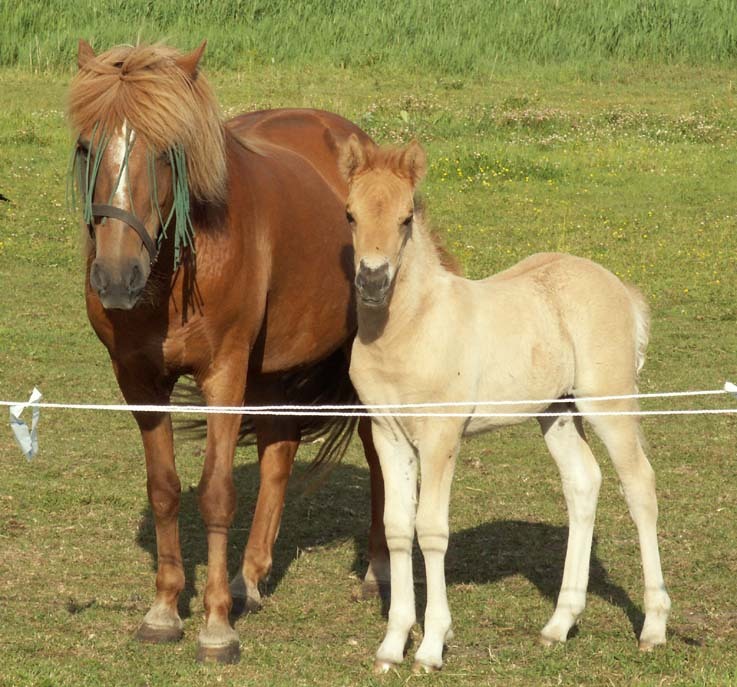 Soley fra Indri Skeljabrekku, a super quality mare. 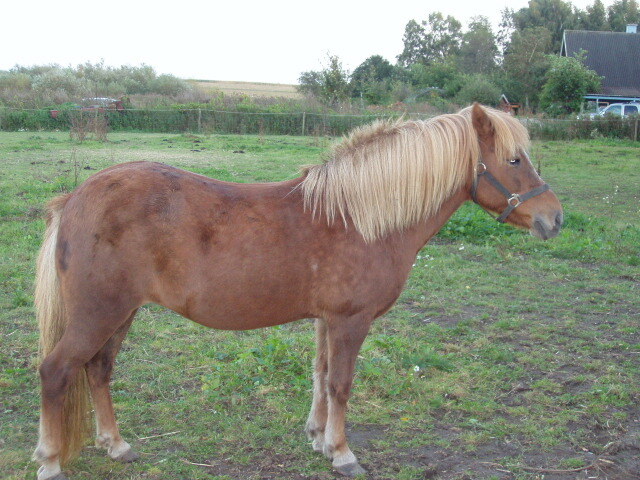 She's got the greatest temperament, sound structure and her gaits are such a pleasure. 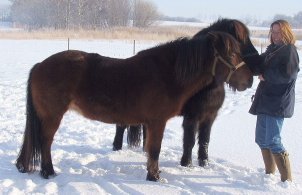 Both Soley and Lokka were sent to visit Kvistur, a beautiful stallion! 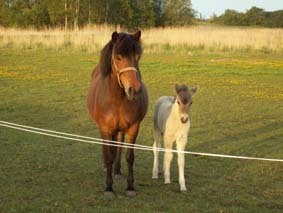 And summer 2005 we had 2 foals! You can see Kvistur below! Klik for at gå tilbage!